The long anticipated part 3 in Sainesh Solanki's Cable and Harness Design blog series is here! This installment continues the establishment of libraries with connector heads and crimp lugs, as well as how to model heatshrinks. We introduce some parameters too,which enable wire-to-crimp compatibility checks. Take a look! There are two additional schematic symbols that can be added into your library. The first is the crimp (pin/socket) that will be embedded in the connector head if the assembly calls for it. The other component is the heatshrink to properly bundle the the wires between the cable and connector head. For the most part, we need these for the Bill of Materials, but there are a few other advantages. First, let’s look at creating the crimp. For clarity, you could create a second sub-part which includes a JPEG or bitmap image of the crimp. For the main symbol (like that of figure 1), I prefer the geometric shape takes on a rectangular form with the exception that the right hand side designates an outward formation. 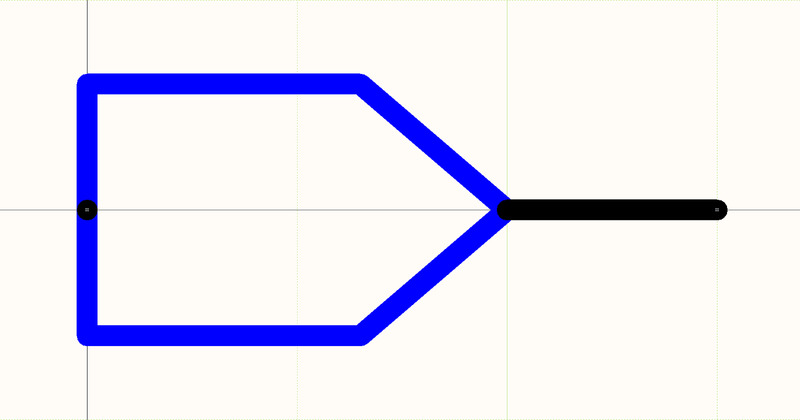 This represents a pin as pins are mechanical objects that stick out of a connector head. That is why the pin on the left hand side is pointing in an outward direction. 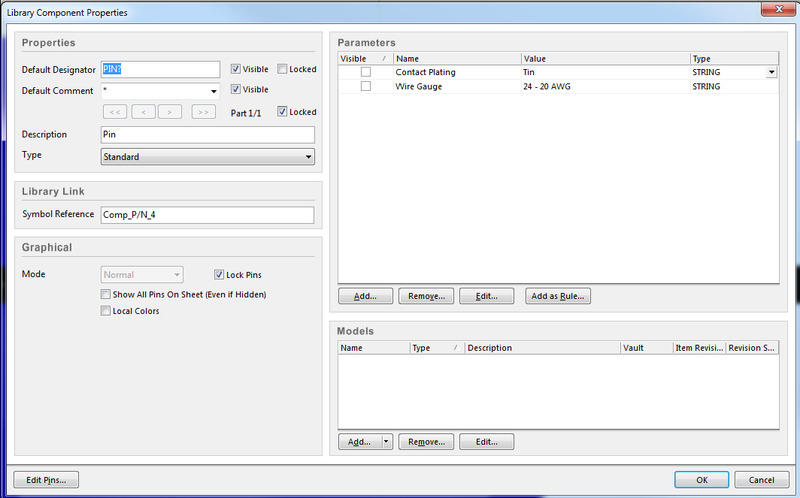 After creating the graphical attributes, within the properties of the component, you will notice two critical parameters that are referenced in there and they are the “Contact Plating” and the “Wire Gauge” (refer to figure 2). It is within these Component Properties where you will create parameters that designate the true properties of the pin and how it can be compared against a connector head or cable component through a B.o.M (Bill of Materials) or other report. The benefit of this is to ensure the connectivity of the design is accurate before proceeding with the assembly process. Having these two parameters (at minimum) allows us to easily check that the cables, crimps, and connector heads are all fully compatible. By using parameters for this we can do a direct comparison in tabular reports or even use a custom script as a cable Design Rule Check to compare wire and crimp gauges etc. But we will discuss more on that in a later blog. 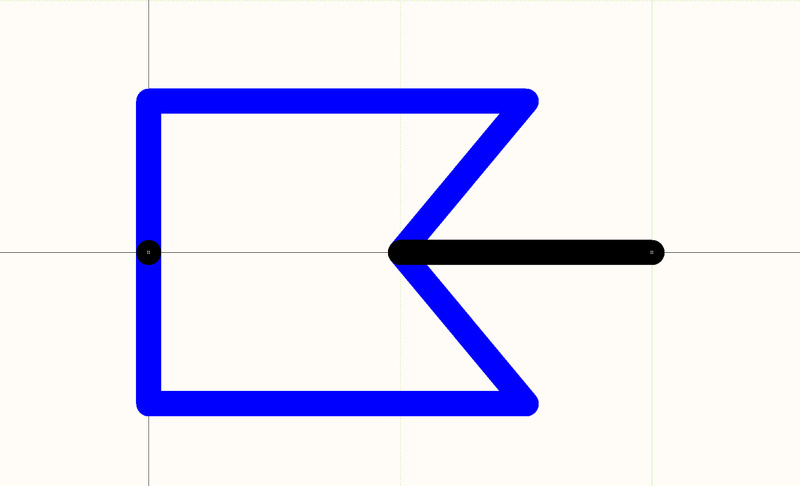 In this schematic symbol, it is represented in the same rectangular shape, however we have indented the shape to designate it as a socket. The indentation represents a pin that is going to insert into the socket. Notice for socket and pin that there is a small black dot on the left hand side, this is actually the Altium Designer schematic pin object, only with length set to zero. The reason behind this is because when it comes time to draw the schematic, we will wire up to the box side edge of the symbol, and the zero-length pin will form the netlist connection. As stated previously, the connector head is connected on one side while the other side continues the wire up to the cable. Now how these are assembled can be explained in a set of assembly notes. But much of this will be explained later on. The next topic is heatshrinks. Let’s see how they are treated in the schematic drawing. As you can see, I used the Bezier Curve to create the top and bottom, Now the reasoning behind this is because this will be placed on the mechanical drawing (as a heatshrink has no electrical purpose or functionality). This implies it’s being part of the assembly but only as a mechanical part. When creating the heatshrink tube as a Component, you should change it’s type field from “Standard” to “Mechanical”; under the Type drop down menu. In addition, a line item bubble would be the third part to designate as part of the assembly - much like the other components - for viewing within your BoM (bill of materials). By making the heatshrink tube as a multi-part component with “top” and “bottom” parts you can simply place these to whatever width you require for matching the cable drawing. Figure 8 below shows how placing the top and bottom heatshrink parts illustrates this. As you can see the heatshrink gives a representation of how the finalized product will look with the wires bundled together between the cable and the connector head. This concludes library aspect of the cable assembly. 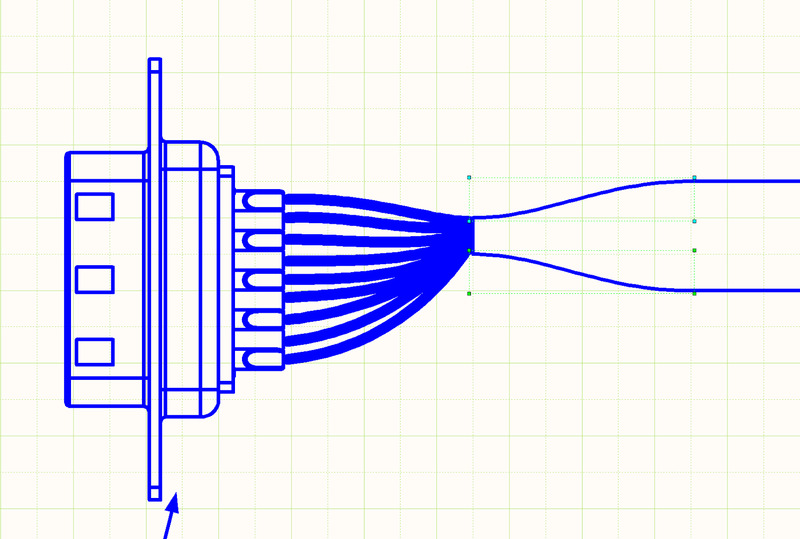 The next blog I will be discussing how to assemble and lay out a full cable drawing. In addition, I will throw some ideas along the way, so stay tuned for more!